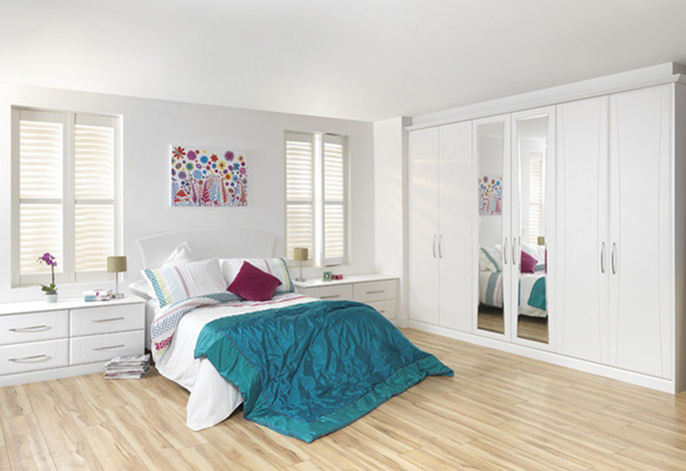 Let your vibrant colours be reflected in full length bevelled edged mirrors set into simply stated cool white doors. Everyone knows you can’t go wrong with white. 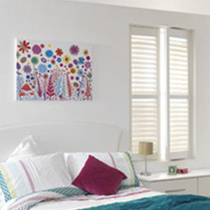 White is a timeless colour which goes with any colour scheme. 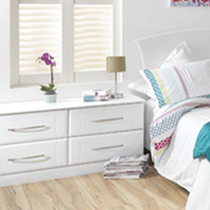 A matching headboard also allows everything to flow. 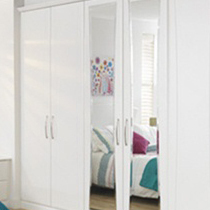 This style bedroom is available in a wide range of colours and made to measure sizes to maximise your storage.